The Leica Q with its fast lens, easy and intuitive handling, gives the user the creative freedom that makes the difference. With a 24-megapixel full-frame CMOS sensor and the Leica Summilux 28 mm/f 1.7 ASPH lens, the Leica Q gives the user the best possible picture in any light situation. The Leica Q is almost noise-free and takes pictures which highlight details even in high ISO. 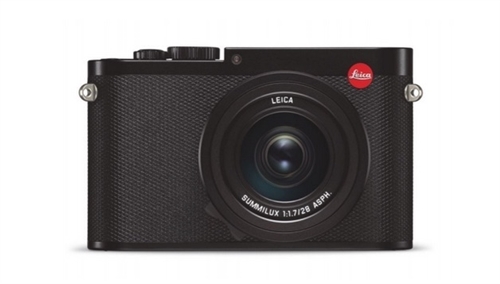 The Leica Q has a locking function which allows the user to switch between automatic and manual focusing. In the macro mode, the Leica Q has a close focusing distance of 17 cm. True to the Leica tradition, the Leica Q focuses on the essentials and is made in Germany. Leica Q owners can get a free download of Adobe® Photoshop® Lightroom®. This software offers many creative options for Apple Mac OS X and Microsoft Windows. Adobe® Photoshop® Lightroom® is the professional work flow solution for managing and processing still pictures and video recordings.